Tesla came out swinging this week with a surprise announcement of their new full electric sports car, the Tesla Roadster 2. This is an open top four-seater four-wheel-drive runabout with some seriously impressive statistics. 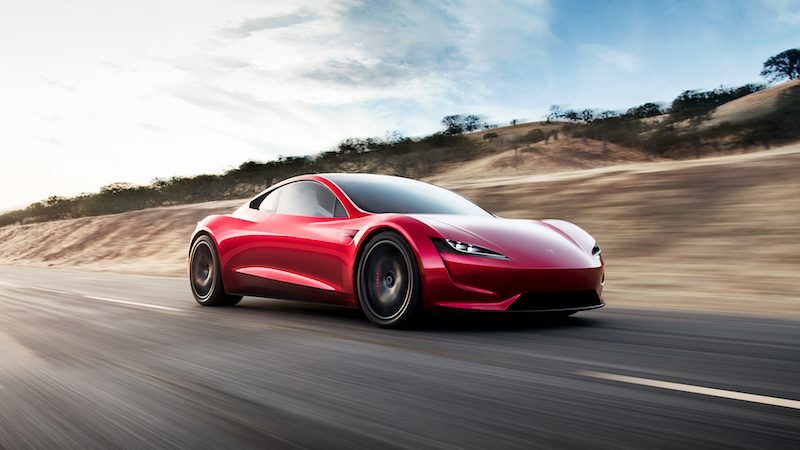 I'll remain skeptical of Tesla's claims until they've been proven by a third party, but they say the Roadster 2 will sprint from 0-60 in just 1.9 seconds and shoot through the quarter mile in a neck-snapping 8.8 second run. Further, Elon Musk, CEO of Tesla, claims that the car has a top speed in excess of 250 miles per hour. Perhaps most incredibly, Musk promises a 620 mile range from this super do-it-all car. Is this an indication of the kind of performance we can expect from a full-electric Porsche sports car?